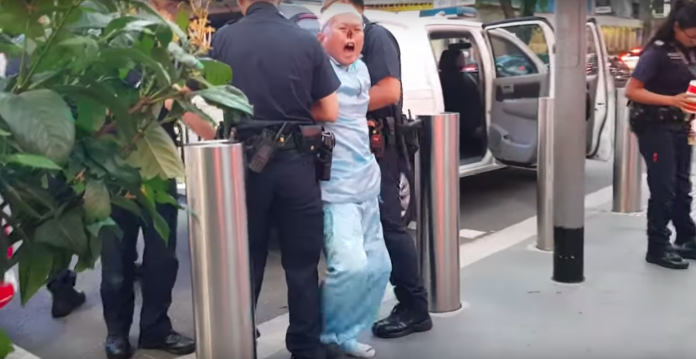 Zeng Guoyan, also known as “Parrot Man”, was arrested on Saturday, October 13, for causing a disturbance by demanding money from the public and for voluntarily hurting police officers. 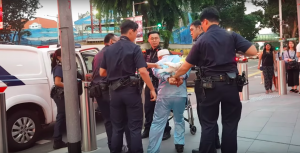 At around 11:30AM on Saturday, police received a complaint call about about 65-year-old Zeng, who was demanding money off the people around him at 1 Geylang Serai. When the police arrived and questioned him, Zeng proved difficult and uncooperative, refusing to listen and comply with officers’ instructions despite being repeatedly warned. Zeng reportedly became disruptive and violent when officers were trying to arrest him. Zeng hurt two officers in the process. Police investigations on “Parrot Man” are currently ongoing. Zeng has been accused of disrupting the peace and causing public nuisance before. His recent record shows similar public complaints of disturbance from the last few weeks. He was arrested in August of this year after allegedly verbally abusing a man in Orchard Road. The man, a busker, said that Zeng was demanding for money from the busker’s crowd. It was apparently not the first time that Zeng had caused a disturbance of that kind. The nickname “Parrot Man” was given to him in 2008, when he blamed his pet parrot for getting him charged and arrested for using abusive language on two police officers. He was fined $2,500. Zeng has gotten into trouble for begging and demanding money from people before. Last year, the management of Ngee Ann City shopping mall put up notices on its premises warning the public not to donate any money to Zeng. The management had also called the police over 30 times last year to report that Zeng had been pretending to be crippled while selling tissue packets along the underground pedestrian walkway linking Ngee Ann City and Wisma Atria. The reason for Zeng’s unique appearance is that he lost his nose to cancer in 2014. 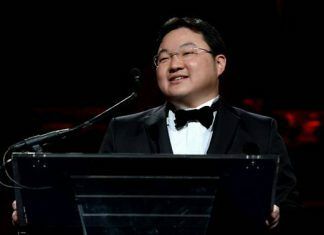 He is quite the controversial character, having made unsuccessful bids to contest the 2011 general election and presidential election, as well as the Hougang and Punggol East by-elections in 2012 and 2013 respectively.